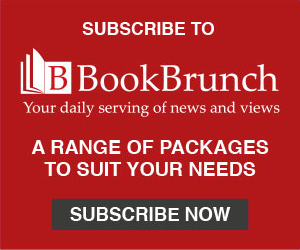 Emma Layfield, group picture book publisher at Hachette Children’s Group, signed the three-book deal for world rights with Arabella Stein at The Bright Agency. 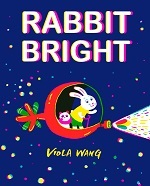 Rabbit Bright is Viola Wang’s debut picture book as an author-illustrator and will publish in hardback in March 2020 with a paperback following July 2020. Her second hardback picture-book title will publish in 2021 and her third hardback will follow a year later. Layfield said: "Viola Wang is an exciting, contemporary picture-book creator who is not afraid to push the boundaries with her striking artwork and bold colours. I am certain her debut, Rabbit Bright, will shine brightly at Bologna!" Wang said: "Working with my brilliant publisher at Hachette has been a fantastic journey. They have nurtured and guided me brilliantly through the sometimes-daunting process of producing my very first picture book. With Rabbit Bright, I want to empower children and inspire them to explore the world." Born and raised in China, Viola Wang spent many hours in the printing factory where her father worked, which is where her love of books began. After studying fine art in Beijing, she moved to the UK 15 years ago, where she pursued a career in graphic design. She graduated from the Cambridge School of Art in 2018 and now lectures on the course. She won the Sebastian Walker Award in 2018, which is an award scheme for new, unpublished illustration talent.